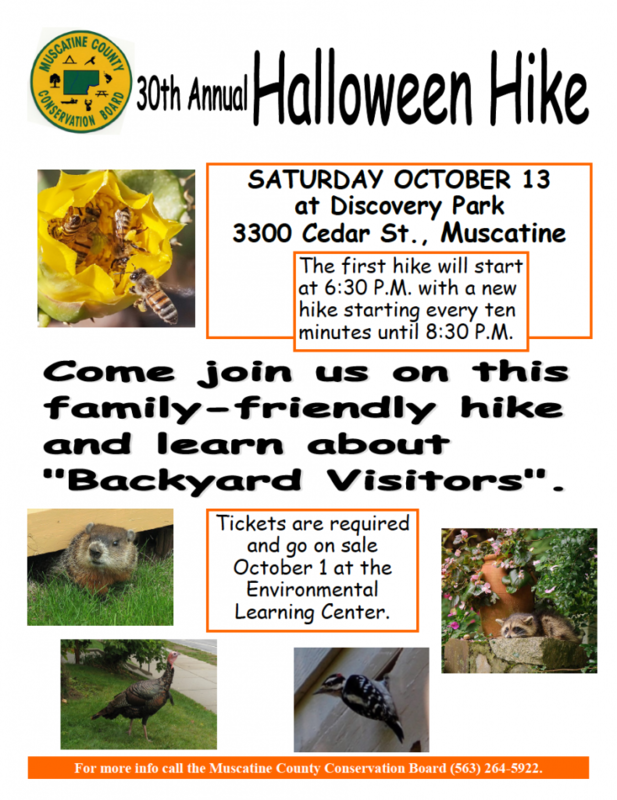 Description: Join Muscatine County Conservation Board for their annual Halloween Hike through Discovery Park on Saturday October 13th. This is a guided NON-SCARY hike for all ages and their families. Tickets go on sale at the Environmental Learning Center on October 1st. Hikes start at 6:30 and leave every 10 minutes until 8:30.